I love what you did with stencil! What beautifully colored leaves! Feeling incredibly blessed that you've shared your abundant creativity with us, not once but FOUR times! Fabulous cards, all! Swooning over the leaves! And the pillows? Oh my stars! I'll be watching for details! Everything you made is just lovely. I am really liking these big words. I love all your beautiful projects, Shirley. I was really drawn by your 1st softer watercolored background and basket Blessings card :-) Your white background really made your 2nd card pop. Amazing that all the sets also include a stencil. How cool! Loved your leaves with water drops. Can't wait to see your spotlight post for your last project. Hugs and thank you for all your inspiration. I love your shading on the Blessings sentiment and the stencilled leaves. But I adore your colouring of your apples with a little green in them! so pretty - light and airy. Absolutely gorgeous! Love the soft palette of the first card. And the pillows are amazing! Beautiful section of cards and items! The watercolored look on the basket image looks fabulous. It's been fun joining in with all the talented designers on this hop. This is such an amazing card...love your yummy basket of fruit. So many treat for the eyes and that pillow, oh my my, so creative!!!! Your coloring is fantastic and I just love those leaves! Wow! Such amazing cards!!! Absolutely stunning!!! Fantastic pillows! Love the colors you chose for them and the cards! Love your leaves cards, the colours are so realistic and the soft colouring is beautiful! Love the pastels on your first card, so pretty. And those cushions - just amazing! Love the light pastels in the first card! Amazing work! OOOOOOOOOOOOOO! Your pillows are A M A Z I N G ! ! ! Love all of your cards too but those pillows are my absolute favorite!! Magnificent colors and a wonderful way to share your craft with everyone! TFS! Awesome coloring and again - those pillows - still swooning over them! Love the soft colors on the first card. Just love these awesome creations Shirley, the watercolouring is fab! I was thinking about all the things I was going to say about your wonderful cards as I scrolled through, but then I came across those pillows... Gaaa!!! How fabulous!!! Show stealers!! 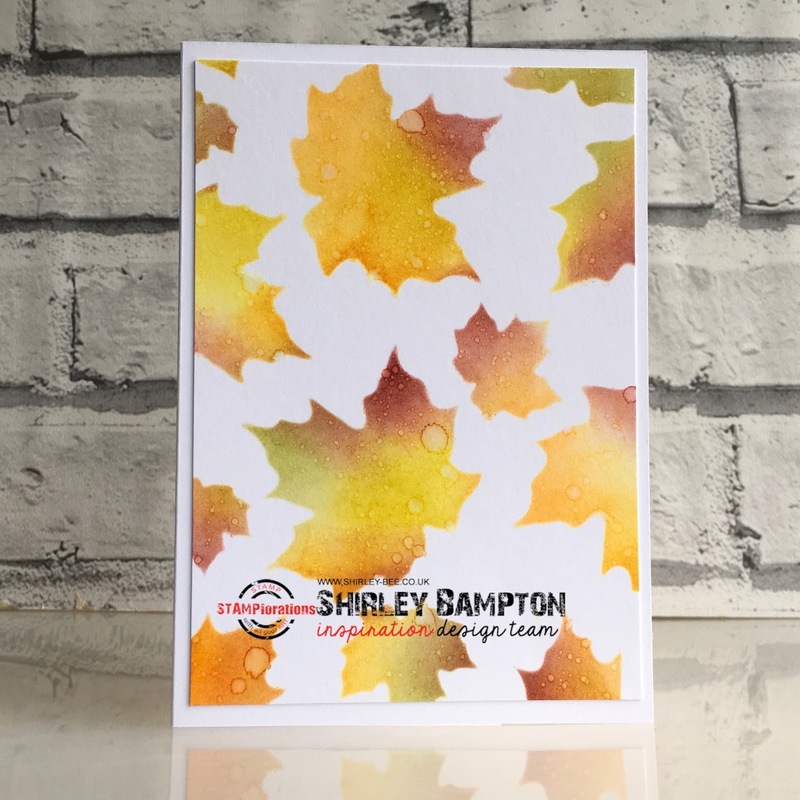 Lovely fall creations, love the pop color with the black "blessings" die cut. Beautiful projects! 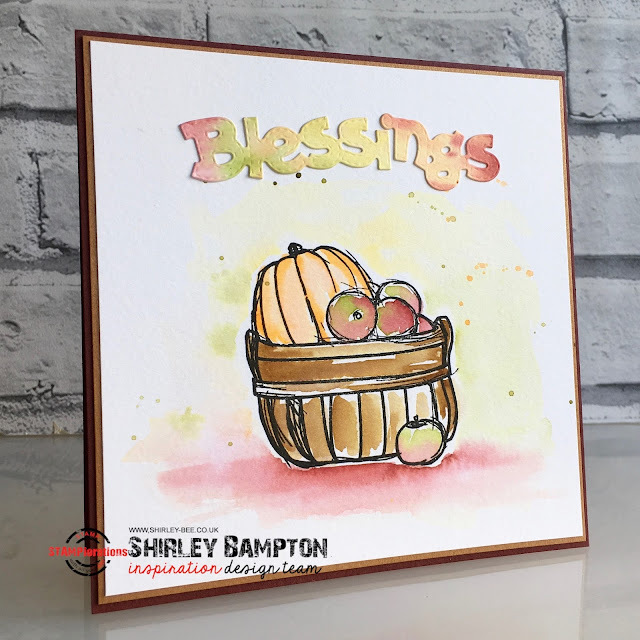 Love your watercoloring on the basket with the pumpkin and apples! 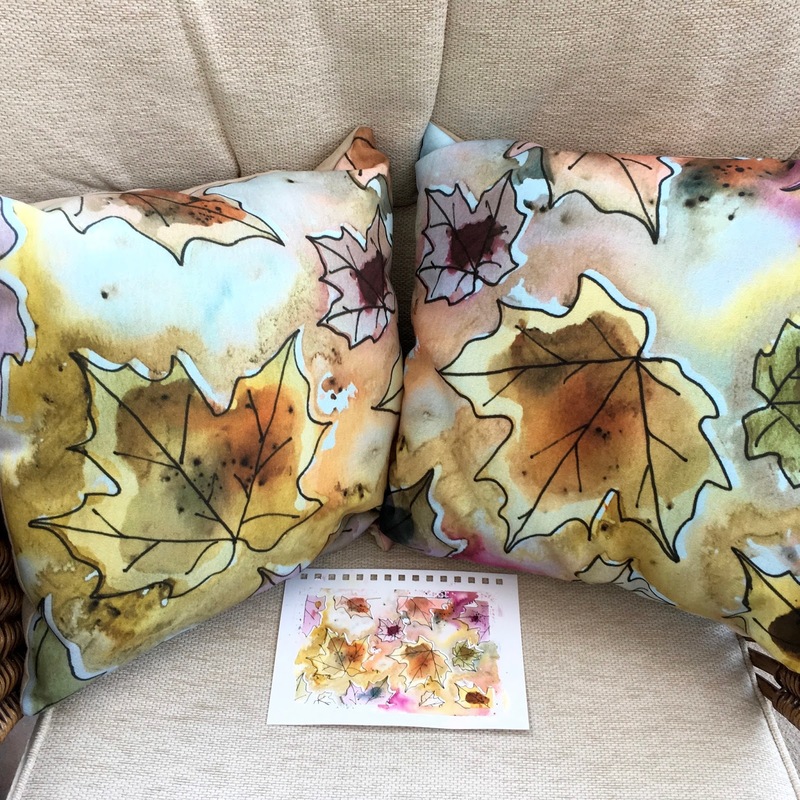 Pretty fall leaves on the card and pillows! LOVE your leaves and harvest baskets, LOVE your colours and colouring too!!! PS - I've already seen your cushions, such a WONDERFUL project and SO EXCITING to be able to display and use your ART like this!!! 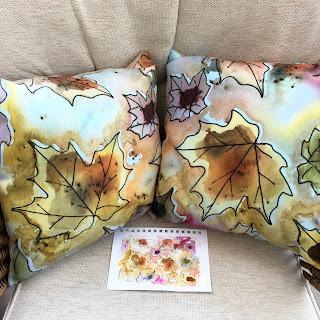 It was such a joy to see your pastel versions of these fall cards ;) And those pillows! AMAZING. You go, girl. Now go have a great, sunny wedding! Beautiful designs and cards. The pillow is great. Super beautiful and I love that black BLessings die cut!! Amazing creations!